Article Video Robot is still working as well as ever! Click here to claim your free trial! – Tube Assist is a new tool that is proving to be a much more effective alternative to Tube Toolbox. It will be pivotal to you being able to scale your earnings on YouTube, click here to check it out. Ok guys, this isn’t going to be the usual crap blog post about how to make money on YouTube that you’ve probably become familiar with. These posts usually consist of advice like ‘Post great video content’ or ‘Join the YouTube partner programme’ and other ‘useful information’ like that. This tutorial will walk you through the process, from start to finish, showing you exactly how you can leverage YouTube’s traffic to make you thousands of dollars per month. BONUS: I’ll also include a FREE ‘Bonus Download’ at the end of the tutorial which contains a list of the best video niches to use for maximum traffic. This list contains the video niches on YouTube that get the highest amount of views and also some ideas of what offers and products you could market on these videos to appeal to the audience for each niche. So don’t forget to claim your FREE Bonus Download at the end of this tutorial to help you on your way to making money on YouTube. If you want to skip the learning curve involved in learning how to make money on YouTube then read this tutorial in its entirety, but most importantly, actually take action and do what I advise you to do in this tutorial. 1. Pick videos to upload that tend to receive a lot of views on YouTube naturally. 2. Pick proven money making niches which receive a lot of monthly search volume in Google. Hard to create original videos/content. Often receive copyright infringements if ripping and re uploading from other channels. Hard to monetise the videos as audiences vary widely. Video popularity can be totally hit or miss. One such way to do this is to create a website which contains generic offers that appeal to a mass market. Now, if you don’t already have a website you need to read my step by step tutorial on how to create a website by clicking here. If you feel you are more than capable of building a website, then I recommend using Bluehost to host your website on (You also get a domain name when you purchase the hosting from them). As well as your website, you are going to need to install an autoresponder on your site so that you can capture the email address of all the people that visit your site from YouTube. The reason for this is that once you have these people on your email list, you can then promote to them over and over again in future. I use Aweber for this service as they have a very easy to use interface and have a great inbox delivery rate. CashCrate – Similar to the above 3 sites but don’t offer free gifts, they just pay out in straight cash by PayPal. Monetise – This is a CPA network like MaxBounty but they cater to UK offers only. A very good network to find lots of good converting offers for your UK traffic. Go and sign up to some of these networks (or all of them if you prefer) now, by clicking the links it will open the sites in a new window/tab and you can get signed up to them right away and start browsing the offers. Make Money Online/Survey Sites – You’ll find these offers on MaxBounty and Monetise. Almost everyone is interested in making extra money so these offers are perfect for this method. Again, they cost nothing to join for the user. CashCrate is perfect for this method of promotion also. Right, so we have the website and the offers sorted. You will now have to write some content for the site. A short piece of sales copy to encourage the user to click your links and sign up to these sites will suffice, as your traffic increases you can split test your copy over time to see what converts best for you. Or, what would be even better, is if you created either a video or a small piece of sales copy encouraging the users to enter their name and email address in to your Aweber opt in form so you can get them to join your email list. Then you can have as many attempts at trying to convince them to sign up to, or buy a product or service you are recommending! Pay for someone to create the videos for you. Download existing videos from YouTube and then brand them with your site’s info. The easiest and quickest of these options is number 3 so that’s what I’ll concentrate on in this tutorial. Using a site called KeepVid, you can simply paste the URL of the YouTube video in to the ‘Download’ field on their homepage, and then click ‘Download’. You will then be presented with the option to have the video in different file formats; MP4 is the file format I opt for. TIP: When choosing videos to download, pick only videos that don’t already have any website branding on the video. We are going to brand the video with our own domain name so we need the videos we are downloading to be clean. Now you should have a host of videos downloaded to your computer ready to be edited. What you now need to do is edit all these videos so that your domain name is branded across the bottom of the video from start to finish. It’s also a good idea to have a short 5 second introduction before the video starts and a similar longer credits page at the end of your video. In order to do this you are going to need to use video editing software. You have a couple of options here. Every Windows system comes with Windows Movie Maker as standard. This software allows you to do everything required but the outcome is usually blurry and the URL can be hard to make out. If you are on a tight budget then this is fine and will do the job. If you have a bit of money to spend then I’d recommend using Sony Movie Studio Platinum Suite. This is a very good piece of software that is perfect for what we need to do. It is easy to learn how to use and also reasonably priced. NOTE: Another popular way to make videos is to use screen capture software, then using a microphone you can narrate the video as you go along. This is a very popular method used for doing video tutorials and video product review. In the video posted below you will see an example of one of these exact videos. The software you need to make one of these videos is called Camtasia. It is a really professional piece of kit and you can also use it to edit your videos to a good standard afterwards. TIP: To get the most out of your videos, once you have edited one video and saved it, elongate the end credit page’s time by a couple of seconds and save another version of that same video. Were you to try and upload the original video twice to YouTube it wouldn’t allow you to as it would be a duplicate file. However, by elongating the credits page by just a couple of seconds and then publishing the video, in YouTube’s system’s eyes, it is a unique file and you will be able to upload it to another account without any problem even though it is essentially the same content as the previous video that’s only 2 seconds shorter. Now you should have a whole host of videos that are branded with your domain name along the bottom of the video and an intro and credits clip at the beginning and end of the video telling the users to visit your site to take advantage of whatever free offer/product you have decided to promote. The next step is to get these videos on to YouTube. Make sure when you register each new YouTube account you are either using a separate IP address. If you don’t have the ability to change your IP address, your next best option is using private proxies to hide your IP address. You can rent reliable private proxies here: Private Proxies. Make sure you are not logged in to any Google accounts on your computer. Once you have logged out of all Google accounts on your computer, either clear all the cookies and cache in your browser, or download CCleaner for free and run it. CCleaner removes all tracking data from your browser at the click of a button and is the safest bet as you may miss something doing it manually. Now you are ready to register your new YouTube account. With this method, the username doesn’t matter that much so feel free to sign up with whatever username you want. Later on in this article, when I teach method number 2, the account username is more important. YouTube are now also requiring that you verify your account by phone a lot more but we have a solution to that problem should it arise. You can visit a site called Pinger where you can set up a free phone number to receive text messages. You can then have YouTube text a phone verification code to your Pinger number and access it in your Pinger inbox. You then simply enter the code in to your YouTube account and bingo, you have a fully phone verified account! Ok, to the uploading of the videos. You want to upload as many of your unique videos to the account as possible. The reason being that with this method it’s unlikely that your YouTube account will live for that long before it is disabled. Sometimes you will get a few months out of the account but they can be killed within a few days if you’re unlucky. The good news is that as long as you’ve picked a popular video niche (as listed in the free download at the end of this tutorial) and stick to the following instructions, you should be able to get a large amount of views and visits to your money site before the account is banned. So let’s say you have 10 videos branded and ready to go, the easiest and quickest way to upload them is using the mass upload tool YouTube offers. While they are uploading, you can go through each video and add the title and description to them. Catchy Title – It’s important that you draw the viewer in with the title of your video. If you’re uploading fighting videos for example, a title like; ‘One of The Most Savage Knock Outs Ever!’ is always going to draw more views than ‘Two Guys Fighting’. Look around at other videos with large view counts or ones with titles that catch your eye for inspiration, or simply just copy the titles. Thumbnail – When you upload your video you will get the option to pick which thumbnail displays on YouTube. A good thumbnail can be the making of a video, you are given the option of a few to pick from so pick the one that you feel is going to draw the eye more and make someone want to watch it. YouTube has started allowing some users to use custom thumbnails for their videos. If you are presented with this option you should definitely get, or create, an eye catching thumbnail image that is related to your video. Description – The description is important. The first text in your description should ALWAYS be the link to your website with a call to action, like; ‘http://www.jamie-anderson.com – Click this link to learn how to make money on YouTube now!’ With this method, the quickest way to then get value from the rest of your description is just to stuff it with keywords related to the video. For example, if it was a video about how to make money on YouTube, then you’d just list that keyword along with as many other relevant and related keywords you can think of like how to make money from YouTube, can you make money on YouTube, make money on YouTube, making money on YouTube… etc. Now that you have these videos uploaded and live, it’s just a case of leaving them to gather views naturally. If you’ve picked popular video niches with catchy titles, good thumbnails and stuffed descriptions, then the videos will start getting views naturally on their own. Some videos will always perform better than others but within a matter of days you can have videos having easily received thousands of views without any promotion whatsoever. The CTR (Click Through Rate) from your videos to your site will likely be low (typically anywhere from 0.5% up to 2%) but the sheer volume of users viewing the videos means that you’ll get a decent amount of interested people clicking through to your site. The key to this method, as with almost every method of making money online, is to scale your efforts. Sure, if you upload those 10 videos you might make a few dollars a day or get lucky and have one or two of the videos take off but it won’t last forever. You need to keep on churning out the videos and adding them to new accounts. The more videos you create and upload the more views and clicks you’ll get through to your site. Then ultimately, the more money you will make. It’s simply a numbers game. How to speed up and automate the entire process! As with most of the money making tutorials I post on the site, I always advise on the best tools and software to both speed up the process and automate it. With all the methods, you will need to eventually use these tools to scale the methods up in order to increase your profits without having to invest additional time. With this method, we have the perfect tool at our disposal to do just that! Introducing the Video Marketing Blaster. This software lets you assign proxies to each individual YouTube account and then mass upload the same videos to each account using unique titles and descriptions. With the Video Marketing Blaster you don’t even have to go through the video editing process! It lets you download videos direct from YouTube and add your own website watermark to the videos, then re-upload them to your own accounts as unique videos! Click here to check out this brilliant tool. Ok, the main purpose of this tutorial is to focus on our how to make money on YouTube option number 2: ‘Pick proven money making niches which receive a lot of monthly search volume in Google’. This is going to be slightly different from the previous method we used. Before we start doing anything, again we need to decide which products we are going to promote with our videos. Our ideal products to promote with this method are products that are going to pay out a higher commission. This means that in most cases we are going to have to convince the viewer to actually buy a product as opposed to getting a free offer. With this method you are still going to need a website. As before, if you don’t have a website already you can get a domain name and your hosting from Bluehost. If you don’t know how to create a website then click here to read my tutorial on how to build a WordPress site in less than 10 minutes. The best plan for this method is to use what is called a ‘squeeze page’. In case you’re unfamiliar with what a squeeze page is, it’s simply a page where you have either a video, or some sales copy, accompanied with an email opt in form. To save yourself the trouble of having to build a squeeze page from scratch, you can buy the Squeeze Theme by clicking here. It can be customised purely by clicking buttons and doesn’t require any coding skills at all, so it’s perfect for if you don’t know how to build something like this yourself. As for the opt in form, you are going to need an opt in mailer program. For this I use Aweber. They have the easiest interface I’ve ever used to schedule emails and you can also get your first month for only $1 by clicking here. The plan is that when your viewers click the link in your video and arrive at your squeeze page, you either have sales copy or a nice sales video there to entice them to subscribe to your email list. Always offer some sort of free incentive to make them signing up to your list more attractive. The best thing about having these people on your Aweber list is that you can promote this product, and other products in future, as many times as you want as long as they remain on your email list. This results in far better conversion rates and gives you a list you can make money from for years to come without having to continually drive new traffic. NOTE: There is absolutely no reason why you can’t still promote the previous types of offers with this method also. There is still plenty of profit to be made promoting the ‘freebie’ offers but I tend to stick to higher ticket items to get a higher return on my time invested. You could also promote monthly recurring products like Profit Accumulator which will give you smaller profits but over a longer period. MaxBounty – Again, these guys carry great higher ticket offers which convert really well. Just login and search their inventory and you’ll find plenty of gems to promote. Once you have found a few products you want to promote, you will need to do your keyword research. I use Market Samurai fo r all my keyword research; it’s an amazing keyword research tool which also allows you to keep track of your search engine ranking positions for your selected keywords in Google, Yahoo and Bing. What’s even better is that you can download a free trial of the software by clicking here. When doing keyword research, just picking the terms with the highest search volume is not always the best way. You have to remember that you are looking for people who are going to buy a product. Think of it as providing the solution to a problem that someone is looking to fix by spending money on it, if you can find ‘buying keywords’ which have decent volume then you are on to a winner. With this method, we will be producing one video per keyword. So when choosing your keywords, bear in mind you’ll need a video for each one. NOTE: Once you have selected your keywords, do a Google search for your selected keywords. If there are YouTube videos already ranking on the front page of Google for your keyword, this is a good sign. By following the instructions in the rest of the tutorial, you will be able to overtake and replace these videos at the top of Google. The other good thing with this method is that you also have the massive search traffic within YouTube itself to take advantage of. Now you have signed up to the networks and have products to promote, have done your keyword research with Market Samurai and have picked lots of high volume ‘buying keywords’, you are now ready to start making your videos. The videos I use for this method are slightly different from the first method I covered in this tutorial. You can just copy and rip these videos from YouTube as well but it isn’t as easy as before. Usually videos that would be ideal for you to copy will already be branded with someone else’s links, which means we can’t download them and put our own links over them. Plus, there is more chance of getting a copyright breach down the line when you start outranking the person with a copy of their own video! For this method we need to use a different approach, don’t worry though, it’s very quick and effective. We can use a piece of software called Article Video Robot. It allows you to take any article from the internet, copy and paste it in to the Article Video Robot site, and then it turns it in to a video with a choice of voices reading the article throughout the video. You can also add pictures and graphics/effects to each video using the Article Video Robot. Best of all, they offer a 14 day free trial! Click here to take advantage of the free trial offer now! Once you’ve created your videos, it’s now time to register your YouTube accounts and get the videos uploaded. Again, this is going to be slightly different to the first method. This time round you are going to want to upload just 1 video per account. The reason for this is to protect the account and make it appear more legitimate. The other reason is that with every account you register you want to include the keyword you are targeting for that particular video in your username. For example, if you were targeting the keyword ‘How to makey money on YouTube’, then you’d try and get this exact keyword as your username, in this case ‘HowToMakeMoneyOnYouTube’. If you can’t, then just add some numbers to the end of it until you find one that’s available. I should note that again, it is very important that you follow the steps I’ve listed previously in the article regarding creating your YouTube accounts. In short, when creating every new account; Log out of all Google accounts, clear cookies and cache data from browser and use a fresh IP address or proxies. Include your keyword in the title of your video (preferably twice). – If your video was about how to make money on YouTube then an example of a title may be: ‘How to Make Money on YouTube – Amazing Method Showing How to Make Money on YouTube!’. Include your main keyword and secondary keyword in your tags – Be sure to add your primary keyword, along with as many secondary and similar keywords as you can to your video tags when uploading the video. Add an article in your description – This is where we do things differently from the first method. Instead of keyword stuffing this description, what you need to do is either write yourself, or go and copy an article from the internet which is based on your niche. You then want to make sure and add your primary keyword and some of your secondary keywords to the article within the description. I have found this method much more effective than just blatantly keyword stuffing the description which is what you see a lot of YouTube marketers doing. Ok, now we get to the most important part. Now your videos are uploaded and live, you need to get these videos on the first page of both YouTube and Google for your chosen keywords. Get as many views to your YouTube video as possible. Get as many likes and comments as you can on your video. Get as many subscribers to your channel via your video as possible. There are many different ways you can manually get more views, likes and comments to your video and increase the amount of subscribers to your channel. However, these are all very time consuming. The easiest and most inexpensive way I know to increase them all on autopilot is using the Tube Assist software. Tube Assist allows you to automatically send and share your video amongst other YouTube users. Once again, you can get a free trial of this software by clicking here. When it comes to getting your YouTube video ranked in Google, you can take a slightly different approach from how you would normally do SEO to get a normal website ranked in Google. As long as there are YouTube videos already ranking on the first page of Google for your selected keyword then you just have to keep building backlinks to your YouTube video in order to overtake them. Another thing I’ve noticed is that it doesn’t matter that much about how quickly you build the links either. As long as you have a nice mixture of links containing your main keyword, mixed in with some secondary keywords and random keywords (e.g. ‘click here’, ‘watch this’ etc) then eventually your video will take its rightful place on the front page. Again, we don’t want to have to sit all day and manually build links to these videos. Using software like Ultimate Demon and SEnuke XCr will have your videos climbing the search engines in no time. Click here for a list of the best link building software available to create these back links to your videos. [sociallocker id=”448″]If you have any questions at all about this tutorial then please feel free to either leave a comment below orClick the link below to download the Bonus Download file. Once you’ve downloaded the file, you will have to unzip the folder. If you don’t know how to do this, you can download the free software called 7Zip to do it fro free. OMG! I see so much of research & detailing in the post above. A great job done. Youtube is definitely the best video streaming website. Thanks, will try something out from now. Thanks a lot for the kind words John. your 2 tip is best method & thanks to suggest Market samurai it is fab software to keyword research. Thanks Rajan, glad you enjoyed the tutorial. 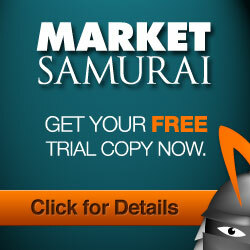 I agree, Market Samurai is great software for keyword research. How more amazing can you be! I just got all the information I was looking for in just one article. Thank you sooooo much and I’ll make sure to recommend your blog and hopefully I can make some money from the video content I’ll upload, I’ll make sure to hire you as a consultant! Have a fantastic day… From Los Angeles… Veronique…. Dude, you are amazing, the details you’ve provided are simply awesome. A very neat step by step process to make some content. Thanks for he information. Nice tips and i would also recommend option 2. I need advise on picking videos to upload that tend to receive a lot of views on YouTube naturally.